A rare Spessartite garnet weighing approximately 3.25 carats radiates at the center of this classic ring by the legendary Tiffany & Co. 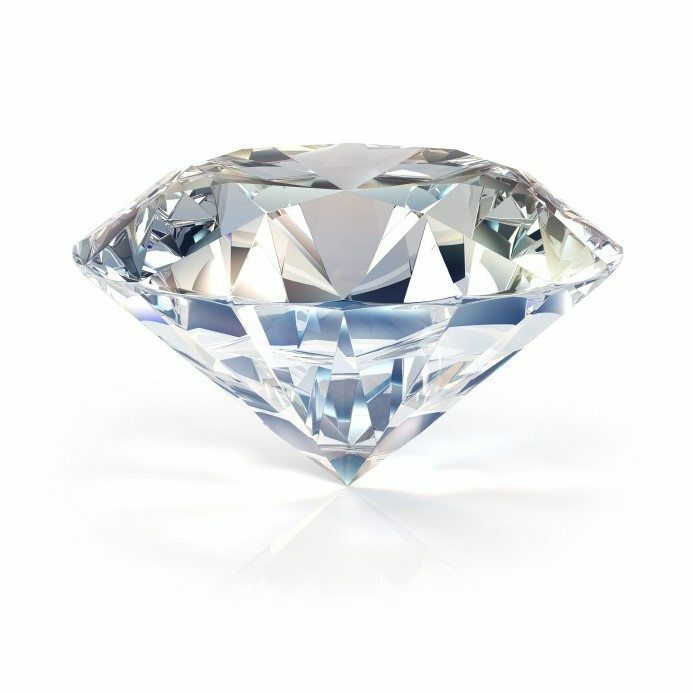 The round cut gem is joined in its exquisite platinum setting by 24 round brilliant-cut diamonds totaling approximately 0.50 carat. 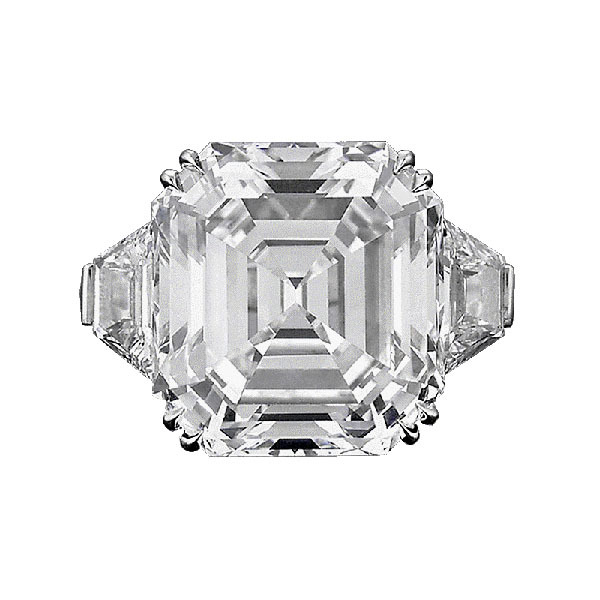 Both dramatic and elegant, this breath-taking ring embodies the timeless sophistication of Tiffany’s finest designs. 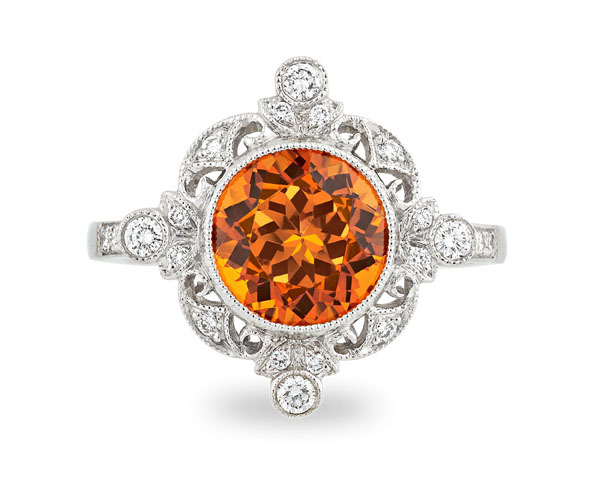 Its brilliant stone captivates and enthralls with an intense orange coloration and excellent refractive rating. 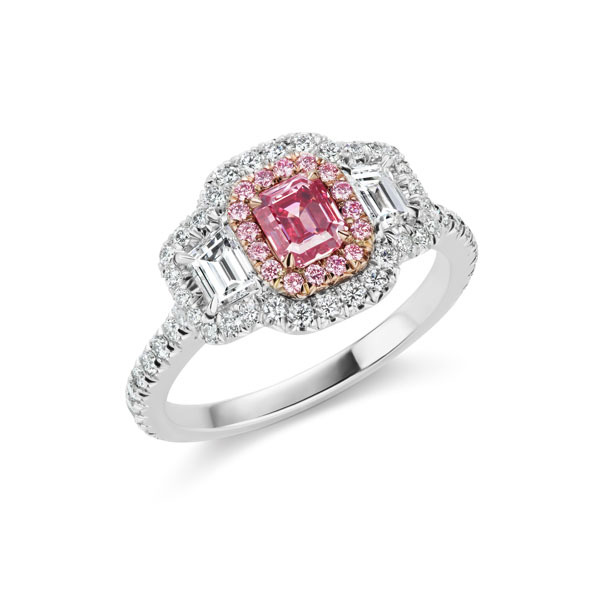 JFINE, which specializes in the most rare and exotic natural color diamonds, offers this stunning 0.58 carat Argyle Emerald Cut Vivid Pink VS2 Diamond with 1.22 carat white diamonds, accented by platinum and 18K pink gold. Argyle pink diamonds come from the remote Kimberley region of Western Australia, where Mother Nature quietly harbors one of her greatest treasures one hundred miles beneath the Earth’s surface. 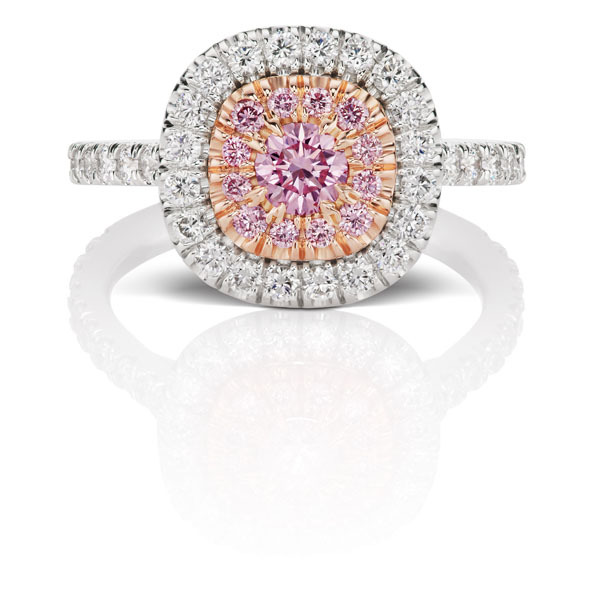 Nothing compares to the color and brilliance of these diamonds. L’Armoire, a destination boutique in New Canaan, CT is celebrating 32 years of making women look more beautiful one at a time. 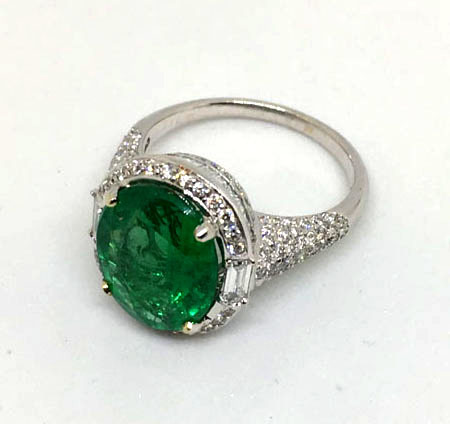 Owner Diane Roth and her loyal team have found the perfect Valentine’s Day gift with this 4.79 carat emerald ring with a total diamond weight of 1 carat set in 18kt white gold. Ideal for saying “I love you” and making others green with envy! Browse the latest in luxury accent and gift collections, from European and New York-based designers at L’Armoire. 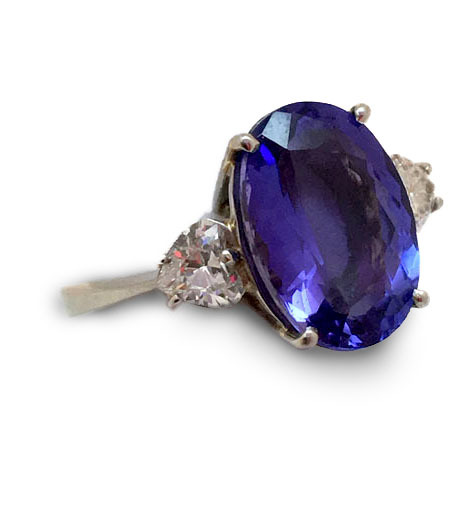 The store also holds an exquisite collection of estate jewelry, handbags, scarves, and hats including this 7.74 carat Gem Tanzanite Ring with total diamond weight of .80 carats of heart-shaped diamonds – the impeccable choice to bring a smile to her face and a “yes” to her lips. Helen Yarmak, one of the top international brands in the world, combines precision and attention to detail with creative flair, exquisite design and dedication to the highest quality. Her spectacular jewelry designs and fabulous accessories have dressed the fashion elite for the last ten years. 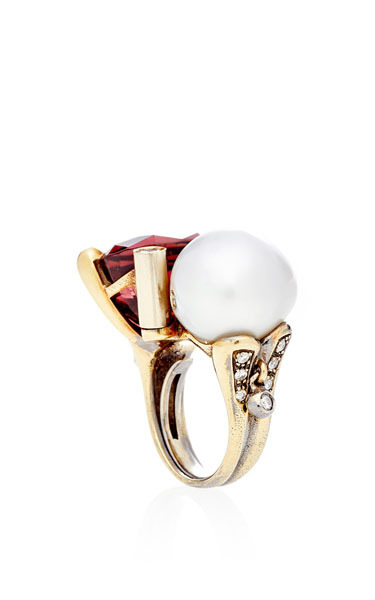 This exquisite example of her work features a 40 carat red tourmaline with .54 carat diamonds and baroque pearl set in 18K yellow gold – a sure head-turner and conversation-starter. New York-based designer Lisa Jackson introduces LJ Cross, a fashion-forward line of gemstone crosses and fine jewelry. 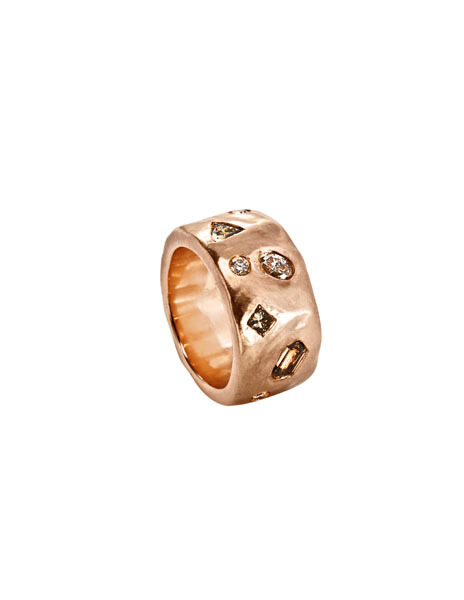 Her well-respected designer’s touch and refined sense of uniquely-styled amenities are fully on display in this understated and fanciful 14 carat rose gold mosaic medium band ring with 2.85 carats of diamonds. It appeals to the non-traditional sense of whimsy and style in all of us. Whether it is a proposal, wedding, anniversary, or no special occasion at all, an eye-popping classic, elegant, or traditional ring with diamonds abound is always a very special way to let your feelings be known.